Without the benefit of clean gutters, rainwater will overflow, pouring on the sides and falling directly to the ground near the foundation. Eventually, the water saturates the soil and seeps through foundation cracks buried underneath. This compromises the structural integrity of your home. You don’t want to encounter problems with your foundation in the future, so it’s best to keep your gutters clean. 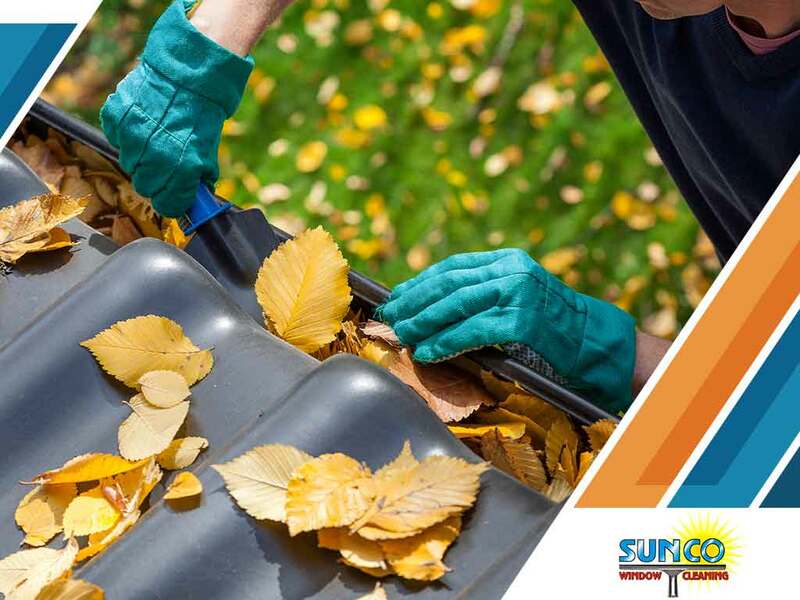 When you begin to see leaves, dirt, and other debris accumulating on the troughs and the downspouts, consider calling our gutter and roof cleaning pros. Clogged gutters retain stagnant water along with debris collected after a period of neglect. Apart from inviting pests, birds and other critters to make your gutters their home, the presence of moisture may also expose even the most durable exterior walls to further damage. It also promotes the growth of mold that puts you and your family at risk. Apart from having your gutters cleaned, our professional cleaning crew will also spruce up the other exterior parts of your home. We remove any loose debris around your property and deal with any biological growth on your roof such as moss. Sunco Window Cleaning LLC is a high-quality window cleaning company that specializes in top-notch service. Our skilled and professional technicians are ready to improve your home’s curb appeal with their cleaning expertise. Begin by giving us a call at (253) 257-1969. You may also fill out our contact form to obtain a free, no-obligation quote. We serve residents of Edgewood, WA.